Be quick! Places are limited to face your biggest fears. The must for Halloween in Quebec! Discover our 3 zones 16 and over! In october, the Village transforms into a haunted village to scare you! 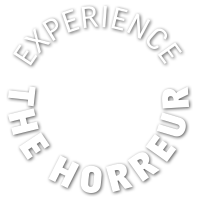 More than 100 actors bring your worst nightmares to life in 30 displays of horror, spread throughout the houses of the Village and 3 kilometres of streets and paths. The newly designed family area opens at 6:00 p.m. to entertain the littlest ones. The area for mature visitors makes your blood run cold and the 16+ Zone is only for the bravest of all. 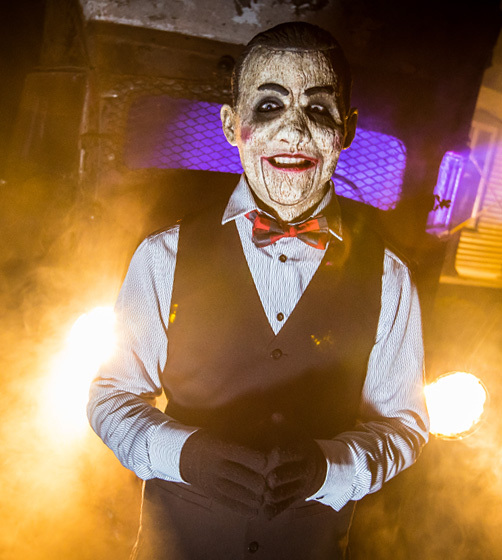 Each year, the Haunted Village reinvents itself to offer new programming! Plan your evening at the Village! Feast on a four-course meal in a Halloween atmosphere. Don’t miss a terror-filled evening! Avoid the lineup and reserve your place.